Testing the fire pump to see if it starts easily and runs properly. Also helped to spread some moisture around near the house. 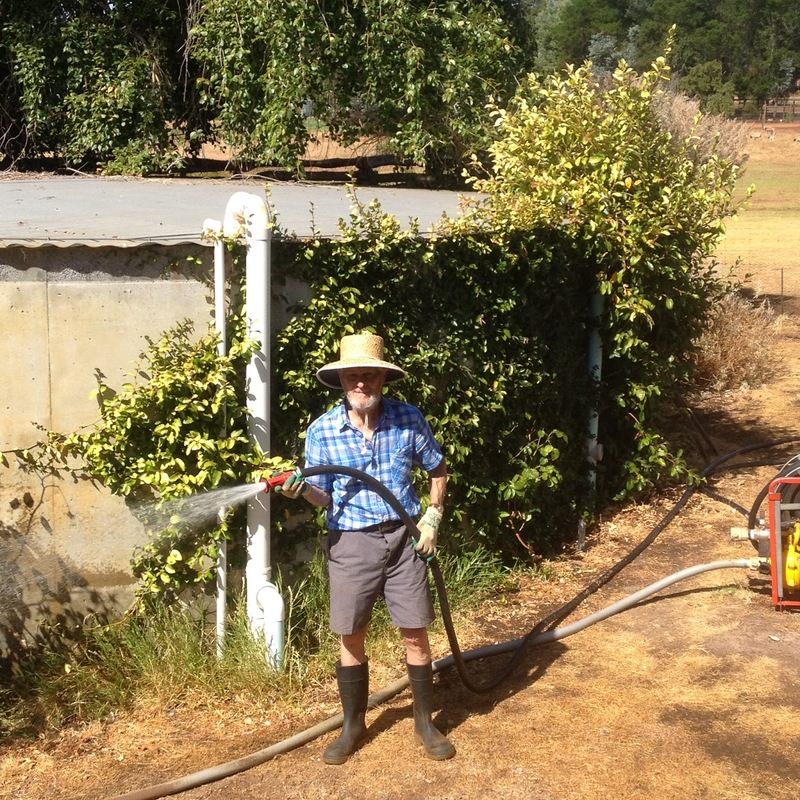 A hot wind from the east blew all day, drying the soil and plants even more from last week. This was taken earlier this year in late January when the conditions were very dry. Typically January and February are the driest months and the chance of bushfires starting and spreading rapidly is greatest. In fact as it turned out the first three months of 2015 was one of the busiest for emergency authorities, with the Northcliffe and Boddington fires being extremely large and destructive. 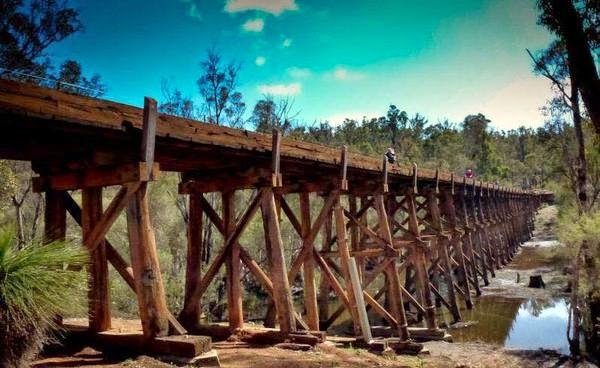 A substantial wooden bridge was destroyed in the Boddington bushfire - sometimes called the Hotham bushfire.